At Central Lakes College we put a significant emphasis on involvement in the civic process. 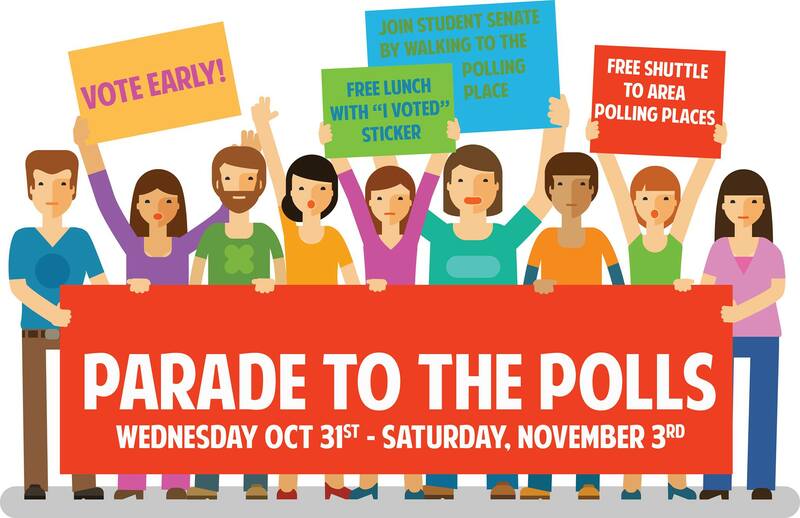 The CLC Student Senate invites all eligible students, faculty, and staff to participate in Parade to the Polls and vote early by either walking with us to cast our vote at the Historic Crow Wing County Courthouse, jumping into one of our shuttle vans for a free ride to your polling place, or transporting yourself to cast your vote. First we register, then we vote!